If you have been following me on Instagram, Facebook or Twitter you’ll have seen my progress throughout this latest round of ‘Plastic Free July‘. 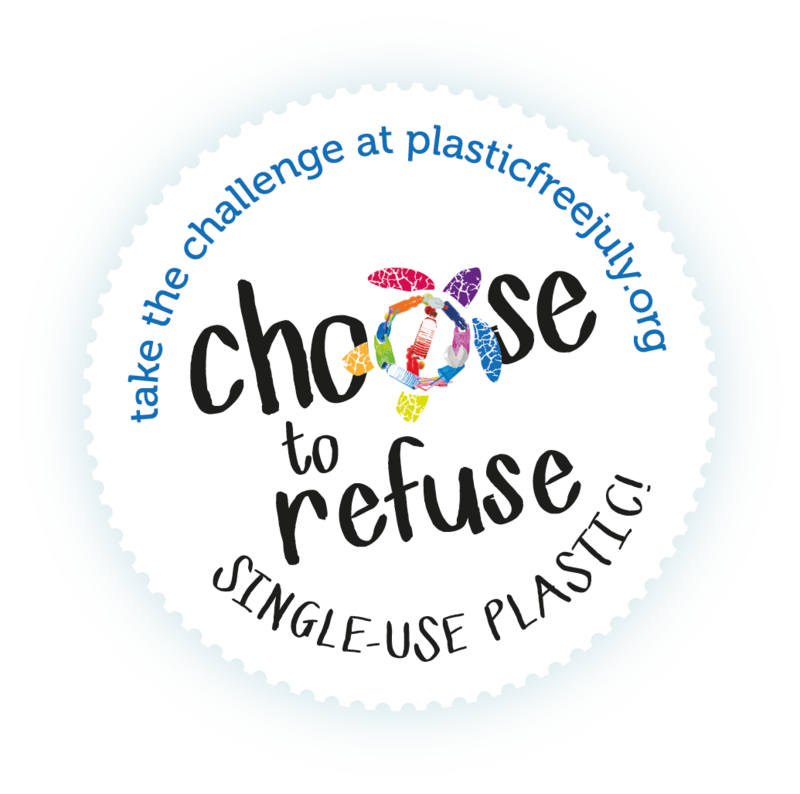 Initially I had intended to blog about my progress and introduce you to various alternatives that you can swap out your current single use items for, but life (and health) got in the way, so here we are… the last day of July and I’m finally getting to the blog post! 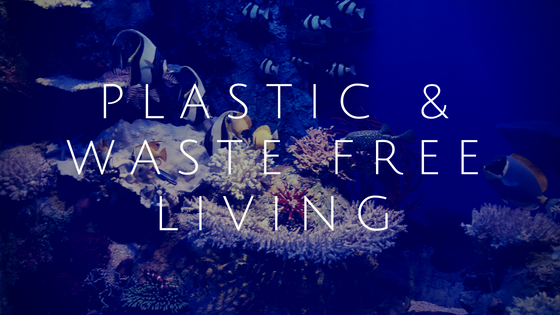 That in itself has given me a new direction of how to approach this… instead of posting about it for one month on the blog, why not encourage others to join me on my own plastic/waste free journey? I first took part in Plastic Free July last year and it really opened up my eyes to the amount of waste that ends up in landfill that really shouldn’t be there at all. After completing the month, I didn’t want to stop there – I chose from that point on to start limiting my plastic use and to start looking into alternatives that were more environmentally responsible and sustainable. I’m a year into my journey with lots of room for improvement still and I have been becoming more and more passionate about this way of life with each day that passes. Thankfully, we have a variety of eco friendly and sustainable events happening in the community these days that put us face to face with a lot of brands and businesses who share that same passion. If you’re a Brisbane local like myself, then you may be aware of Green Heart Fair already (you can read my review from their last event here) – they have another event, in Carindale this time, happening in early September. I was crazy lucky to win this zero waste kit via a Green Heart Fair comp – it’s been incredibly handy! There’s another eco friendly event happening at the RNA showgrounds in the latter part of September that you may be interested in as well – ‘Save The World Eco Expo‘ – showcasing a range of eco friendly businesses and brands and their ‘eco steps’ towards a better future for all. 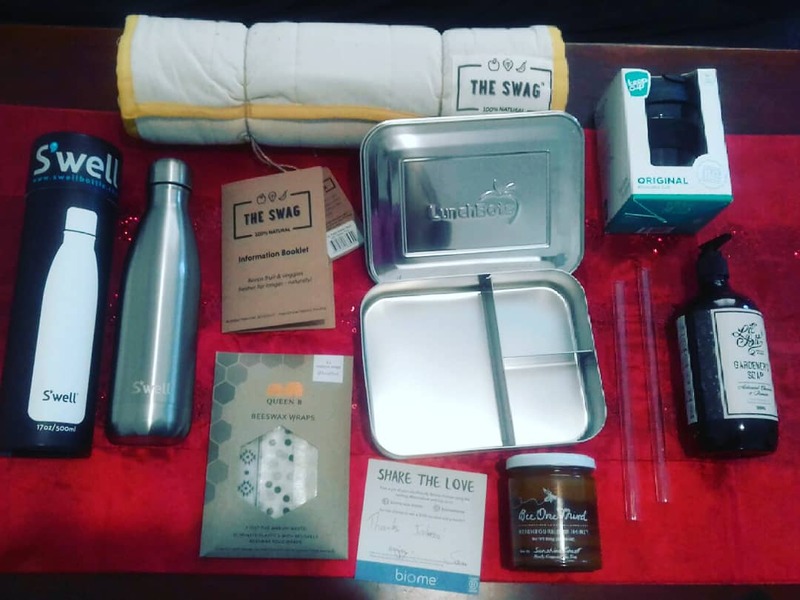 There are so many great products out there and I look foward to introducing you to several alternatives for grocery bags, cling wrap, disposable cuttlery etc as well as so many other areas and ways you can reduce your eco footprint (and possibly save money in the long term)! Until then, I would love to hear your fave ways to reduce plastic and other waste from landfill… your fave eco friendly products too – just comment below! That’s a lot of jars! I love this, really need to start going more zero waste on my food items! Thanks Izzy ☺ I learnt a lot at the Green Heart Fair about food waste during their ‘Love Food Hate Waste’ demonstrations. 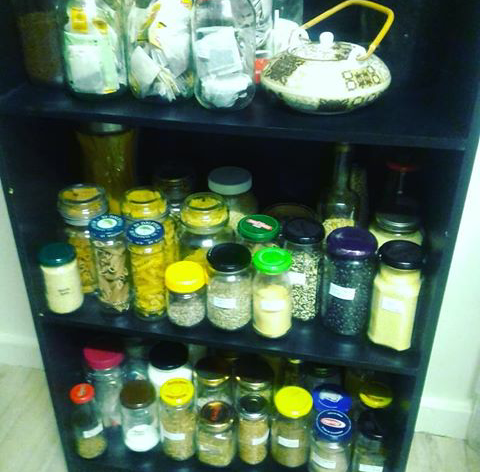 I now make my own stocks for soups, stews, casseroles etc (I place all the chopped up unused parts of veggies – skins and all – in a container to use later… they then get added to the slow cooker along with herbs straight from my garden, and when it’s done I strain it so I am left with the liquid and the scraps then get added to the compost collection afterwards) – homemade stock tastes soooo much better than the store bought version – I no longer buy it any more!